Here I fall in line with many users of Google. I use just about Google everything. 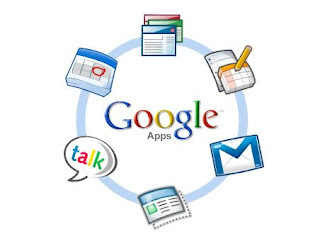 I use my Gmail, Google Calendar, Google Tasks (part of Gmail and Google Calendar). All three integrate incredibly well. The more features that Google rolls out to their web client tempts me more and more to quit using Apple Mail, iCal, Tunderbird and other desktop clients and just exclusively use the web clients like I do at work and on my netbook. These products are great and only getting better. 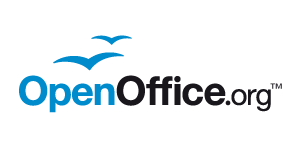 I usually edit documents on my local computer using free open source software (FOSS) like OpenOffice.org (www.OpenOffice.org). This functions almost exactly like Microsoft Word, but it's free. The down side to this, method is that files you want to access on other computers need to have an editor (like word or OpenOffice.org) to edit them and you have to get the files to that computer. I have methods for this that I use, but I thought I'd point that out as a downside to using a cloud based editing system like Google Docs. Recently I started playing around with Google Docs again. I hadn't in quite some time, but they've made some significant improvements. The editors are clean. They function very well. They allow easy collaboration between other users (by sending them a Gmail link) and the files are always in sync with each other. You can move to whatever computer you want and go to documents.google.com and there are your files! It keeps track of them by date edited and who they are shared with, etc... For personal documents, I'm finding myself moving more and more to this platform. Not all files are going to be editable on Google Docs, and sometimes I have old word files or .zips or anything else I want to make sure I can access from anywhere and on all my computers. This is easily done with Dropbox. (www.Dropbox.com This link is a referral that gives both of us an extra 250MB) For free they give you 2GB of storage space. The website has an application that you install on your computer that places a Dropbox folder on your filesystem. You can then create folders in there put files wherever you want and they will automatically be uploaded to Dropbox.com for you to access via the website AND any other computers of yours with the application installed will automatically download the updated files so that they are always in sync. I have a lot of computers... I use this to keep files that I access all the time on all of my computers and even my phones. It not only supports storing your files, but you can also share folders between friends if they have Dropbox as well as create public links to send people for them to download files. This was always an issue for me. I have a lot of music and a lot of computers. I really didn't want to have to store every song in 5 different places and have been looking for an elegant solution. Well, I think I've finally found one. Subsonic (Subsonic.org) will integrate with any of your music libraries. If you just have a folder, you use iTunes, Winamp, Windows Media Player or whatever. I've been playing with it the past few days and I'm totally loving it! All I did was download the installer on my iMac at home, tell it the folder with all my music, and I was done! Now I just use my web browser, point it to my home IP (or DNS) and up comes a website. I log in with an account I create and I'm presented with my entire music library. I can then download songs to whatever computer I'm on or just listen to them and build playlists straight through the web browser. Some aspects of setting this up may be a little tricky depending on how your home router is set up, but the directions on their website should be sufficient. So that is my Cloud. Am I going to stop using all real applications on all my computers? No. But it's great to have the option for low powered computers like netbooks and cell phones as well as keeping my life in sync. I can only see my dependency on these programs and tools like these growing as the next generation of web apps develop.